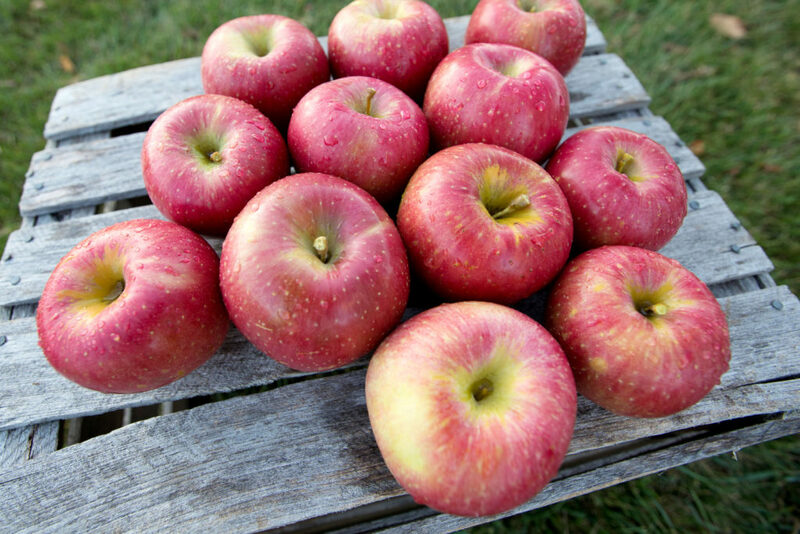 EverCrisp® is sweet and juicy – a yummy apple that holds a powerful crunch – combining the best features of MAIA-1’s parent varieties, Honeycrisp and Fuji. The EverCrisp® name says it all. 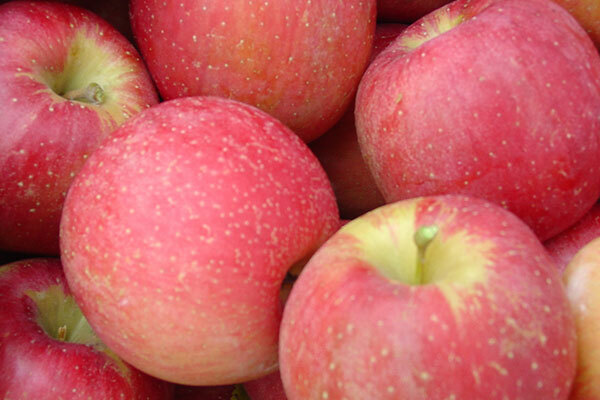 The durable apple arrives late in the season and stores strongly – it maintains sweetness and firmness like no other. That makes EverCrisp® the perfect treat for a holiday celebration, and the ideal snack for a healthy New Year. 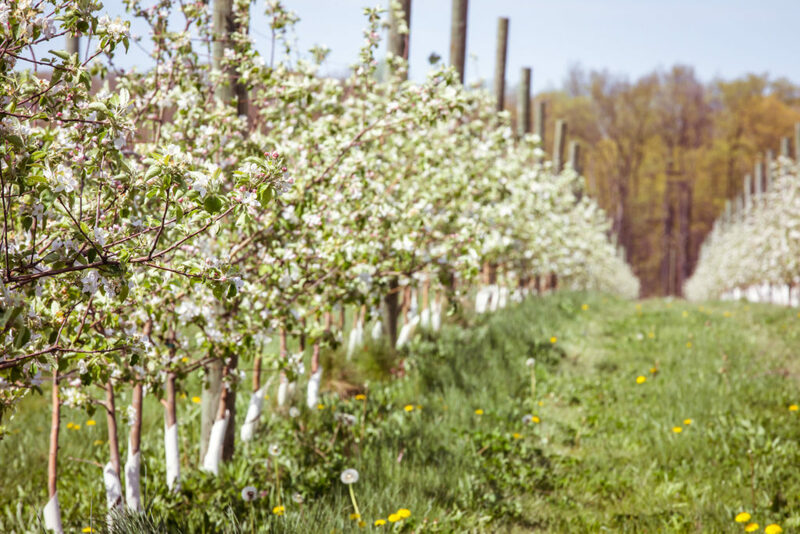 Nearly 20 years ago, Mitch Lynd of Lynd Fruit Farms in Pataksala, Ohio, set out on a mission to develop apple varieties that were flavorful, crunchy and crisp avoiding his region’s unpredictable winter/spring weather patterns. Lynd co-founded the Midwest Apple Improvement Association (MAIA) – an apple breeding project that enabled growers of all sizes to participate in developing new, superior varieties. Lynd generated thousands of seeds from many different cross pollinations. The MAIA-1 variety arose from a cross made in spring 1998 when Lynd collected apple blossoms from a Fuji tree, removed the pollen, and used it to pollinate Honeycrisp tree flowers. In the fall, Lynd collected the apples and removed the seeds, which he germinated and grew in a nursery for a year. The next year, he distributed thousands of seedlings to fellow growers, starting a process that would take several years for seedlings to produce fruit for evaluation. One of those growers was David Doud. Late in 2008, he was walking on his Countyline orchard in Roann, Ind., when he took the first bite of an apple from the group’s MDD5-44 test tree. The apple had a great crunch and flavor. In fact, he thought it was better than any other apple he was growing at the time. Sweet, juicy, crisp and firm. He called it the “apple with the 21st century crunch.” The MAIA-1 variety – marketed as EverCrisp® – was born.